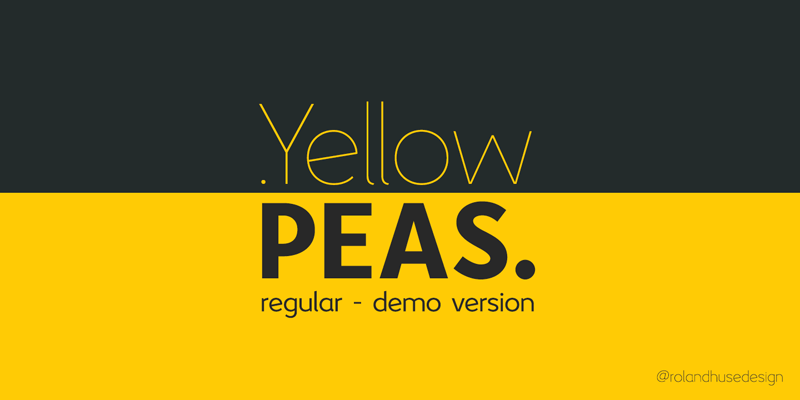 Yellow Peas is a geometric sans serif font family. The full versions contain Western and Eastern European Languages, Thai, Vietnamese and Russian Cyrillic characters and symbols. There are open type features in the full versions such as ligatures, alternates and small caps. The Family comes in 5 different weights.